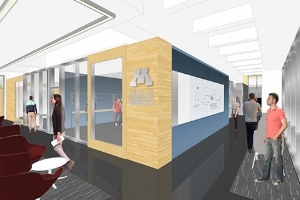 KENDELL is currently partnering with Knutson Construction on an exciting venture at the University of Minnesota with the brand new Shepherd Lab Robotics. KENDELL is very excited to participate in the creation of a building that is progressing ground-breaking robotic technology and possesses key learning tools for students. Shepherd Lab Robotics includes 98 openings. We can’t wait to see the final outcome and the future that this project holds!